Carefully handcrafted, these beautiful ceramic burners are works of art. 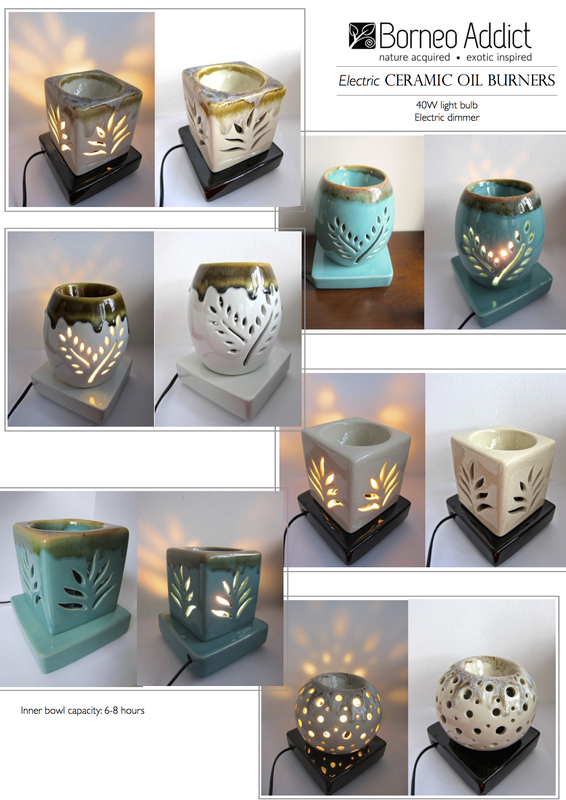 Illuminate and fill your surroundings with your preferred selection of fragrance/ essential oils. Each base is fitted with a light bulb and dimmer, reducing any fire hazards or forgotten lit candles. Email us for offers when you purchase 5 units and above.